Jean is a shimmering pink champagne inspired by the iconic beauty of Marilyn Monroe. 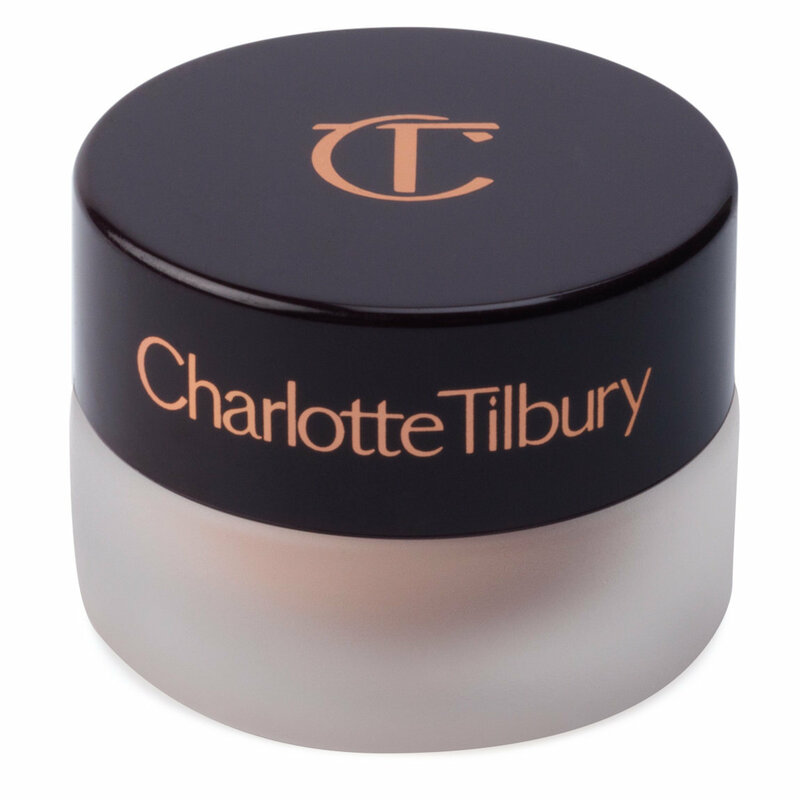 Captivate the room in a single glance with Charlotte Tilbury's foolproof cream eye shadow. Choose from six lustrous shades for a molten smokey eye that goes on instantly and lasts all night long. Use your fingertip to add a sheer wash of color to lids. 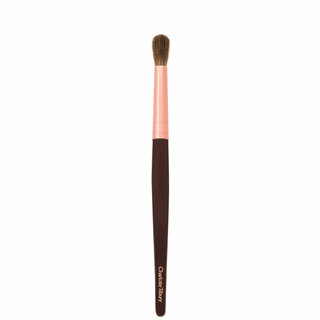 Apply with Charlotte's Eye Blender Brush for a high-impact, high-shine effect. What I like most about these cream shadows is how easily they blend. The consistency is gel-like but blends out to a silky cream texture which I love. The best part about it all is how the pigmentation still stays true after the blending and application. I absolutely can't stand a cream eyeshadow that basically disappears after blending it out! They stay put all day by themselves and also as a base for more shadow. I like to layer these on top of shadows as a beautiful 'pop'! I just finished reviewing four of the six shades of the Eyes To Mesmerize cream shadows and I am absolutely loving them. In my mind, Tom Ford was the expert in the cream eye shadow department but Charlotte Tilbury has definitely challenged him with her new formula. I love how user friendly these are and how versatile the application is. I prefer using my fingers to create an all over glossy eye look under my powder eye shadows. They blend brilliantly and provide a gorgeous gloss and sheen vs. a frosty and thick look. You get more for your money with these pots compared to Tom Fords (CT $32 for .24 oz vs. TF $42 for .21) which makes these even more enticing. I will say TF has more pigment and the colors will be more exotic and/or dramatic so it comes down to your personal choice. I highly recommend Marie Antoinette, Mona Lisa and Veruschka. All you need for summer!!! 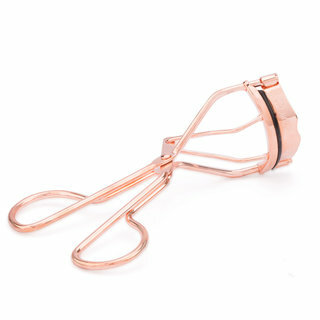 I got 3 of these as soon as they launched (mona lisa, jean and marie antoinette) and I have worn them every single day. 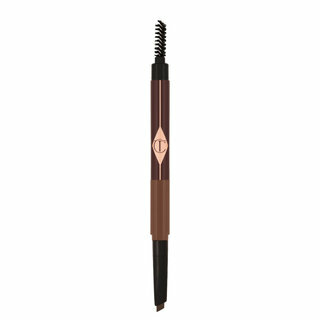 I will probably order the other 3 because they are so beautiful, easy to use and long wearing. Here is how I have found they work the best: if you have a dewy lid like I do use MAC painterly as the base, then using your finger apply the CT e2m all over the lid or crease. It's really easy to blend a powder shadow into the crease with these if you want to create more dimension. I am typically not a wash of color eye look person but these are so beautiful on their own that I've been loving the look of them on their own. I have a hooded eye and noticed that my liquid eye liner does transfer so I just use a pencil or gel liner with these and problem solved. These are a must for summer because they are so quick and easy to use and yet still deliver a high impact eye look! I also got Cleopatra, and Veruschka. 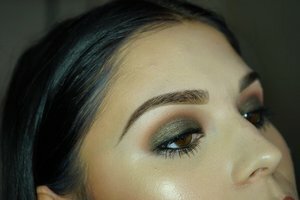 I have small hooded eyes and I am usually skeptical of cream shadows because they never stay. I always use an eye primer, with regular shadows too. I did that and put this over top then I waited.... I took my son to baby swimming lessons in a heated pool later that day and when we returned home. YAY! no creasing, smudging or budging! good product! not like MUFE aqua creams those are very drying, sometimes they flake. These are like a second skin and you can build the color up. You need very little product. I think much like Tom Fords cream eye colors. I will be getting the other colors definitely. Mousse-like, color-rich formula - not for me, but still great! For the type of makeup I do (heavy/stage/drag) this texture is a foreign and unwelcome concept. I like my creams with some GRAB! This has none of that. The formula is feather-weight, high-impact color that seems to glide effortlessly, leaving a cool, moist lovely sensation on whichever area you apply it to. Seriously, the feeling is ridiculously nice. Even though I don't like it, I can fully recognize that this is a star-quality product with amazing pigmentation; it just isn't the product for me. If you like more mousse-y, light and airy textures, this is the one for you! Everything about these cream eyeshadows is amazing! 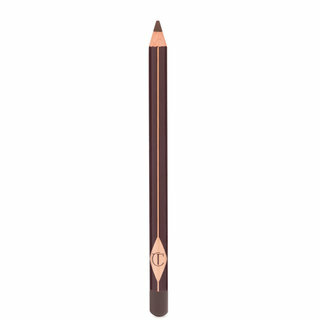 Pigmentation is incredible, you barely need a pinprick of this product to cover your eyes, they blend out to perfection, and they are bulletproof when they set. I've been wearing them this summer in the pool with splashing kids and they don't budge, I love it! I also have Marie Antoinette and its equally gorgeous. I prefer these cream shadows to the Tom Ford ones, which says a LOT b/c I'm obsessed with his products! When I saw Charlotte showcase Veruschka on her youtube channel I knew I had to have it! Given my skin tine and brown eyes, I bought this product expecting the moss and gold colors to make my eyes pop. It did (and more so than her color chameleons in my opinion)! This product has a beautiful whipped texture that doesn't crease on my oily eyelids and is extremely pigmented. 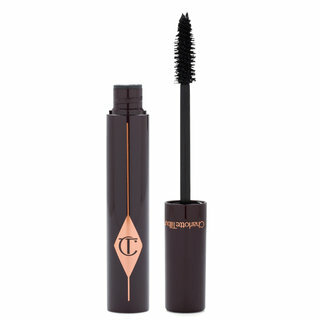 The formula also blends easily, and I can achieve a beautiful smokey eye with this product alone. Definitely wanting to try Cleopatra next! I have worn this shadow everyday since receiving it. It's the perfect barely there beautiful color. At first look I thought it was going to be too bronze but it blends out perfectly. I love it and want to try other shades. I originally bought this in cleopatra because It was such an unusual color and loved it, so the following week I ordered it in Verushka and am equally happy with my purchase. They are blendable, stay on all day and don't crease terribly on me. They are comparable to Tom Fords eye cream colors with the exception that Tom Ford are a little bit more pigmented from the jump. I am in love and will be buying more. I bought this shade by mistake as I was intending to get Marie Antoniette and Jean only. However, I am very happy I made that mistake. This is pure liquid gold, it applies like a dream, gives the glistening gold look that is very trending right now, and best of all, it lasts a very long time. All in all, this CT product is damn amazing!